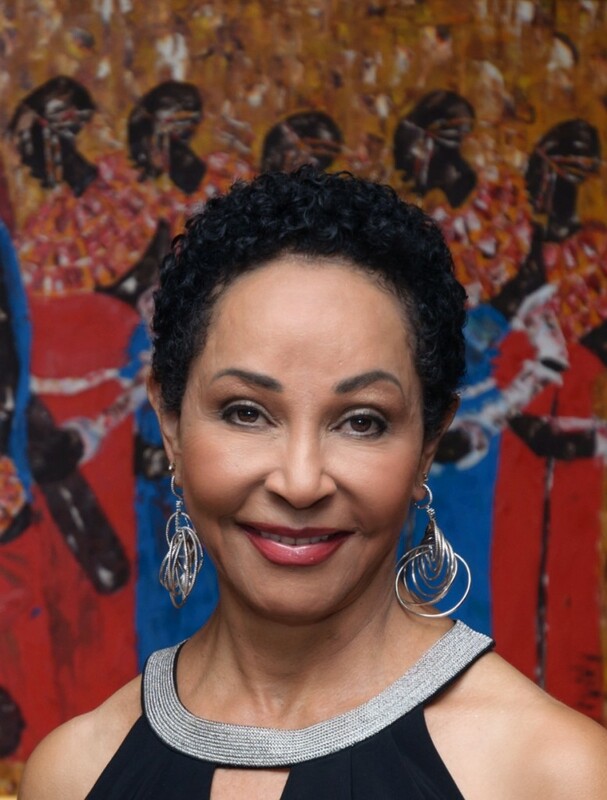 Creator of a popular workout based on African dance (Aerobics with Soul®), Maria Nhambu has made sharing her love of Africa and its culture and rhythms the focus of her life. Her memoir, Africa’s Child, tells her dramatic story from birth to her departure from her homeland. 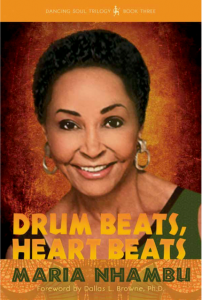 Drum Beats, Heart Beats is the final book of the Dancing Soul Trilogy. In it the mysteries of Nhambu’s origins are unraveled as she continues sharing her powerful story. She was raised by German nuns at an orphanage for mixed race children in Tanzania, East Africa, and had no knowledge of her origins. Throughout the hardship and mixed blessings of her childhood, Nhambu (as she is called) sustained her spirit through dance. In the US she shared her love of dance through presentations with Young Audiences and by creating, a fitness program based on African dance. Nhambu is sharing her inspiring story through book presentations and talks around the United States. Maria Nhambu has two adult children and three grandchildren. She lives in Delray Beach, Florida, and Minneapolis, Minnesota. The Author in her own words…. What was it like to grow up in an orphanage and boarding school in Africa with 50-plus siblings? Read Africa’s Child and find out! I had mothers I called Sisters. Father was an ancient, nearly deaf priest from Holland who said Mass and heard our confessions. We were a strange and diverse family. Some children had parents. Others had African families, while others had European connections. Some had mothers who visited them regularly. I didn’t have any of those ties. We all had Big Girls—the older girls assigned to take care of us. In many cases, that included tormenting us. Discipline was harsh, a product of German customs, child-rearing practices and religious beliefs of the early part of the last century. The nuns in charge of us definitely did not read Dr. Spock to find out how to raise us. To raise my soul, I realized that humor was one way to make sense of my life. As you will see, along with the tears, my childhood was filled with laughter. Mixed race children were not fully accepted in African society. Worse, they were undeniable evidence of a man and a woman doing “the act” in questionable circumstances. Yes, there were mixed children of stable family unions, but they were in the minority and still faced difficulties in the larger African society. Those of us labeled “children of sin” had a clearer although murky identity and we were often reminded of it. But in many ways I was fortunate. I was a curious, questioning child (I was also fat, thus my childhood name “Fat Mary”), and when I wasn’t annoying others with my questions, I was busy deciphering my reality. When I was quiet and alone, not only did I know it, I also felt that someone was watching over me. My Faith told me that it was God. He watched over me because I belonged to him. My active mind drew me to learning. What I wanted just as intensely as I wanted a mother was an education. I realized that for my dreams to come true, I had to love and take good care of me. I began imagining my future out of the orphanage by the time I was five years old. And the best way I saw to do that was by getting an education. An education would tell me about the world and open it up to me. Everything I went through for that education—and you’ll see there was quite a lot—was worth it. By the time I graduated from high school, I had the equivalent of a Ph.D. in cultural complexities. I grew up under German Catholic nuns living in a British colony in an orphanage set in the midst of African villages. European settlers scattered in conclaves throughout the region exposed us to their cultural diversity. Later I encountered many other tribes with their own languages and, to my delight, their own dances for me to learn. My country was fighting for and gained its independence. Then I met the American nuns who taught at the high school I attended. Figuring them out and understanding their culture was a full time occupation. That activity, as it turned out, continued into my new life in America where I was brought by an unimaginably wonderful young American woman. She was 23 and I was 19. My story continues in two more books. I am writing my story to encourage and inspire others, especially young people, and to share hope with all. I also want my story to honor and remember the children at the orphanage whose stories might never be told.